A personal portfolio is a nice way to showcase your work and attract employers. Most of the times, people use the personal portfolio website to showcase skills, work, employment history, and education. In this way, you can just share the link to your online resume website in place of sharing the whole resume. If you are also thinking to create a nice looking personal website showing your skills and portfolio, you are at nice place. 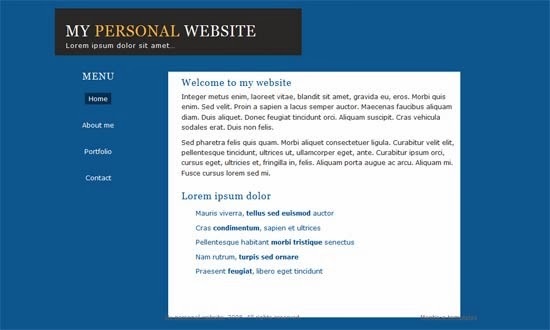 In this post, we are listing few HTML, CSS templates which you can use to create your personal website in few minutes. Few of these themes are responsive and supports both computer and mobile. So, you can select any which you think suits your personality. Before you look for free templates, I would like you to see these two paid personal portfolio templates. I personally liked these two due to attractive design and features. Nice template for web designers. If you work as UI designer and web designer, you can use this template to create your online resume. Just download this template and edit to add your details. Add your photo, skills, fill details, and you are done. You can upload the whole resume website to your hosting and your online resume is ready. One Personal Resume template is also a nice one-page template. 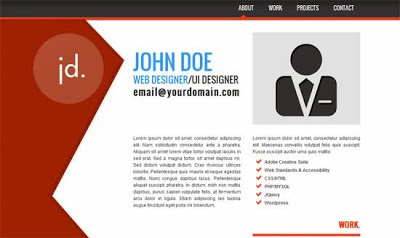 If you like dark color scheme, this resume template is best for you. Just download, edit to add your own details and you are done. I personally like the color scheme of this personal website template. It looks very good and editing is also easy. 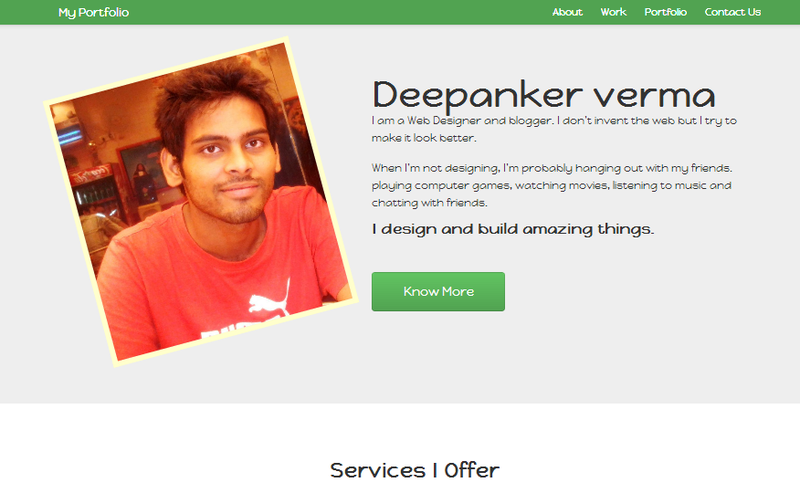 This is another creative personal website template. It has various elements and looks cool. 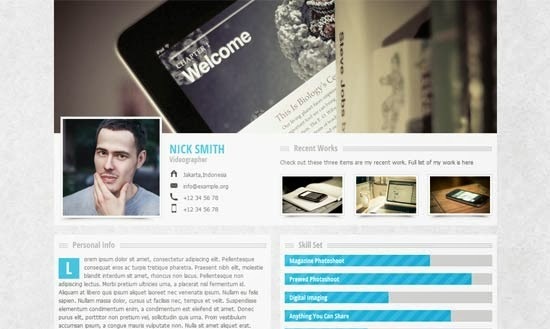 Photographers, web designers, software developers and other kinds of professionals can use this template to showcase their skills and work. Nice personal portfolio template based on Bootstrap. It is responsive and comes with nice color scheme. It is available to download for free. 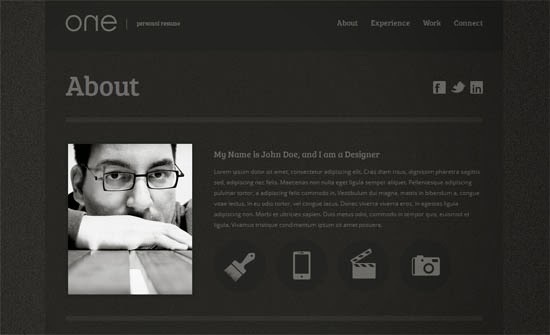 Summit is a nice responsive vCard theme for your personal portfolio. 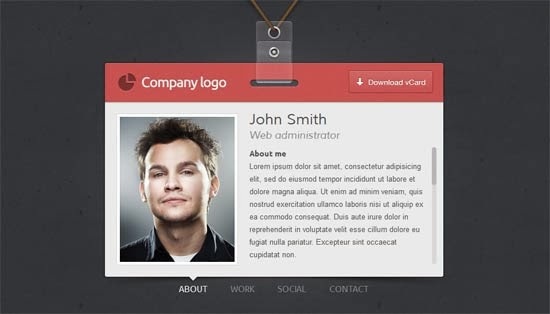 id vCard is an impressive vCard theme with modern design. 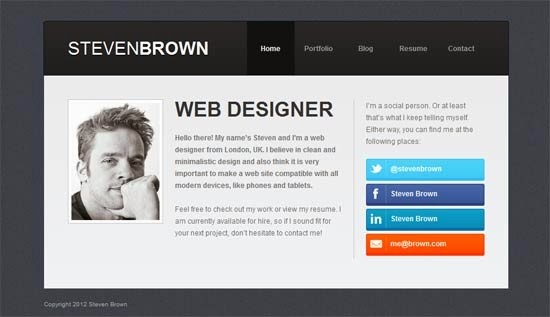 You can also use this vcard free template to power your online portfolio. Where to host these templates to make your website online? If you already bought a hosting, it is fine. Otherwise, you can check this list of recommended web hosting providers.